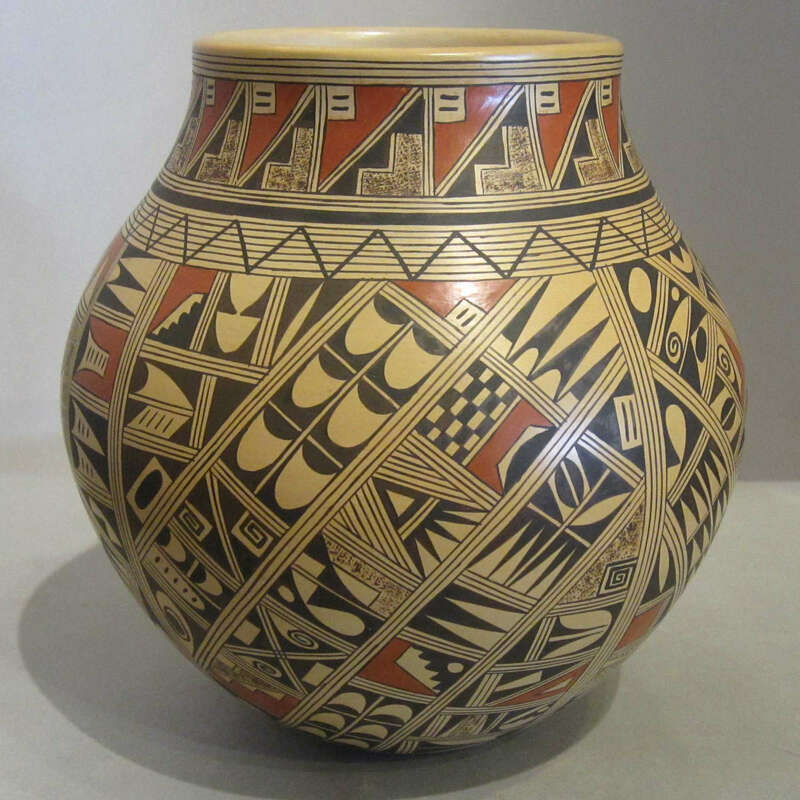 Rondina Huma was born on March 30, 1947 into the Hopi-Tewa Kachina-Parrot Clan at Polacca, Arizona. She has lived in the village of Polacca almost her entire life. She has had no formal training in the traditional ways of pottery making but has been making pottery on her own since 1973. She still does everything in the traditional way, including her exceptional polishing and exquisite painting. 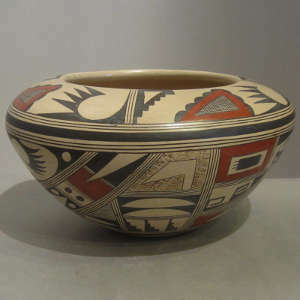 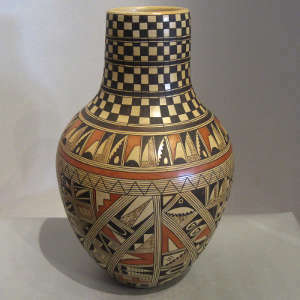 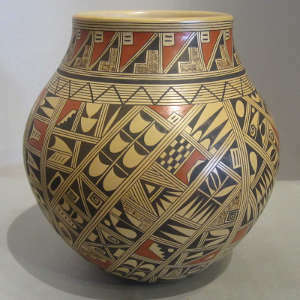 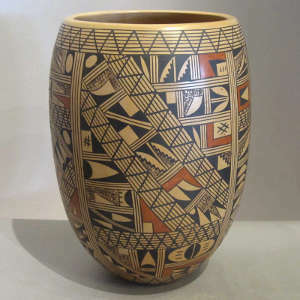 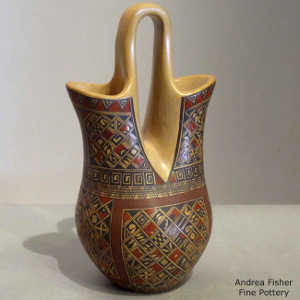 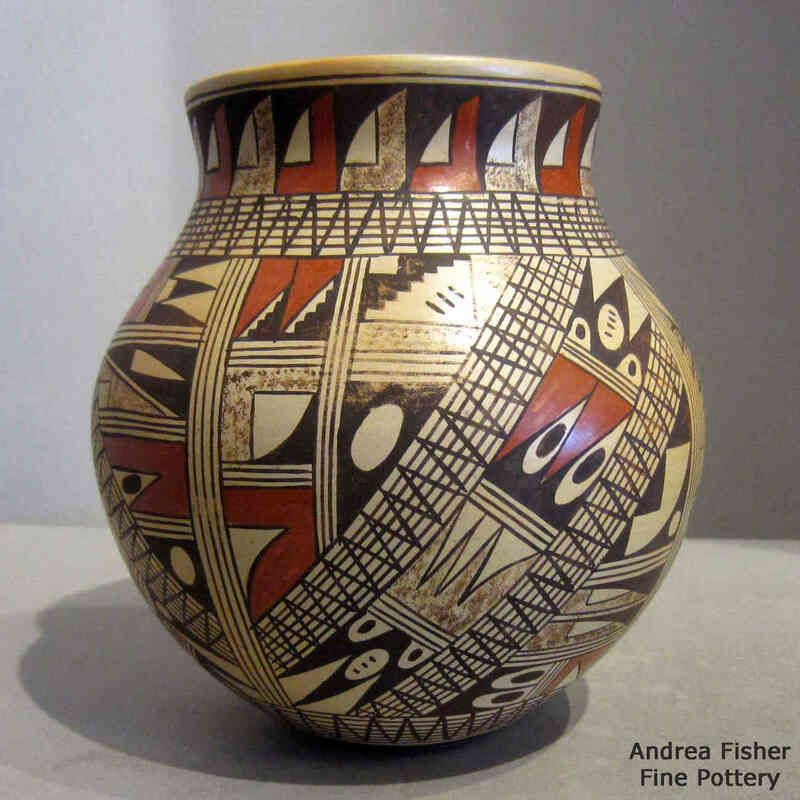 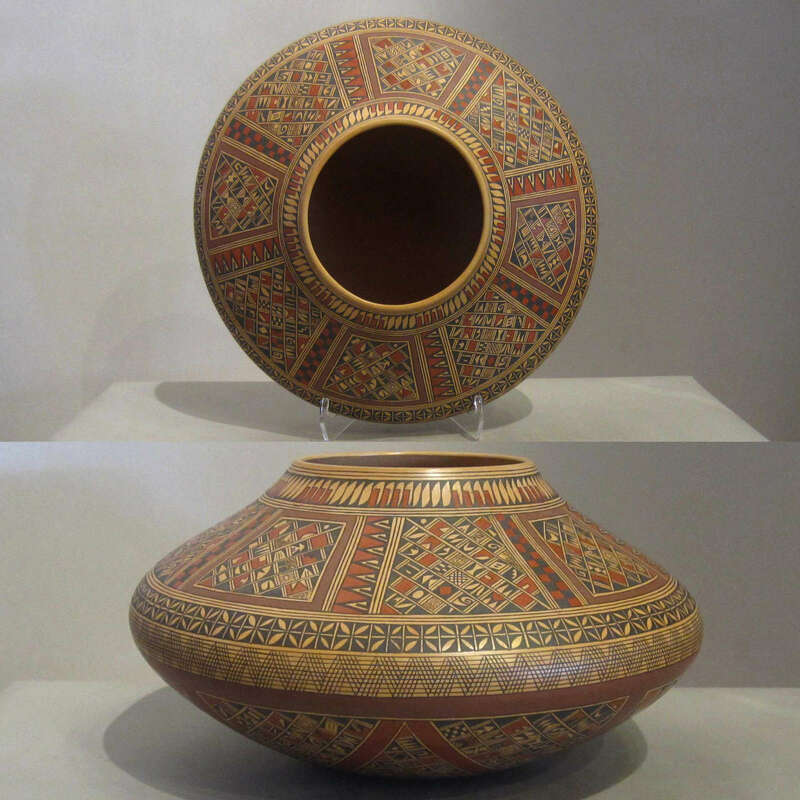 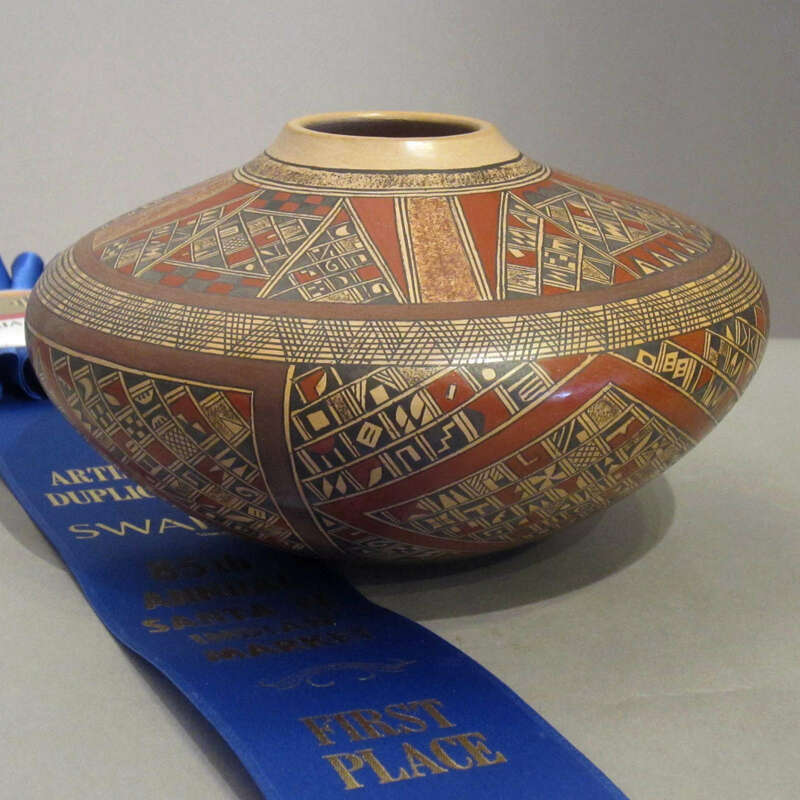 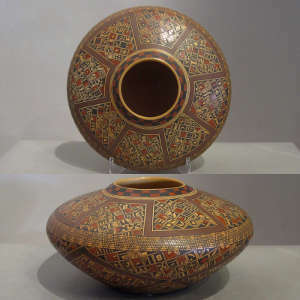 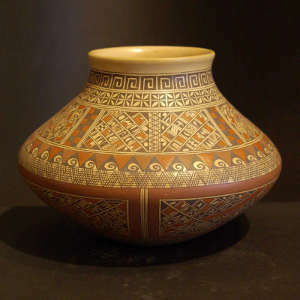 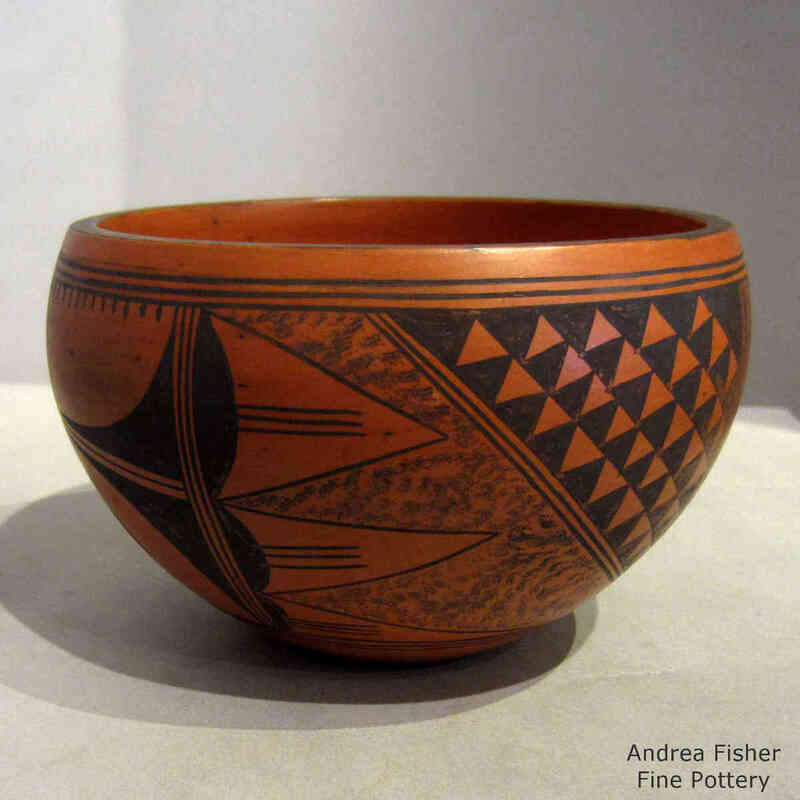 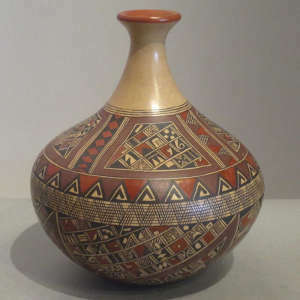 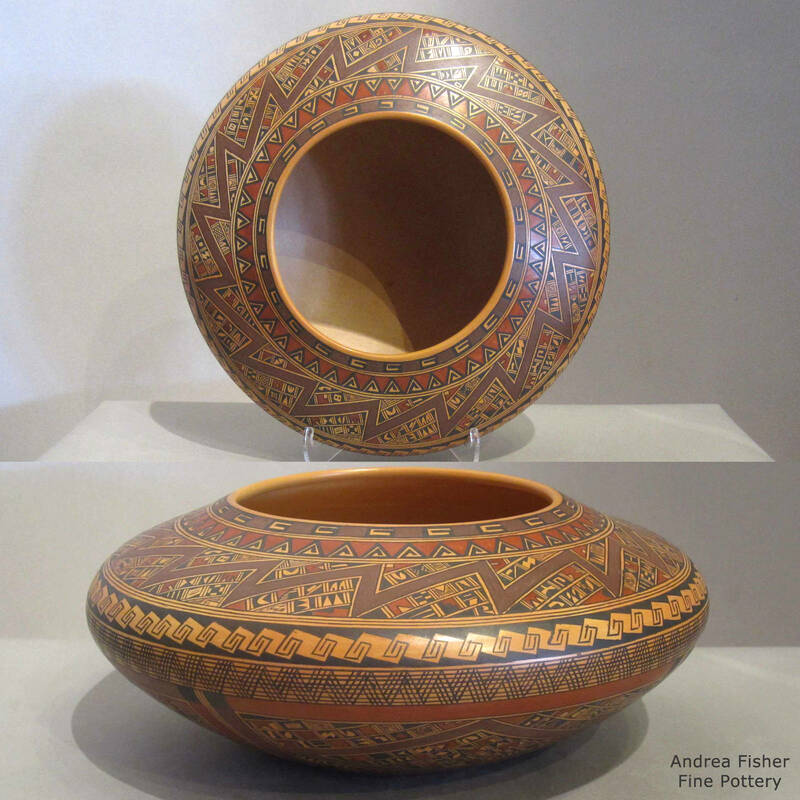 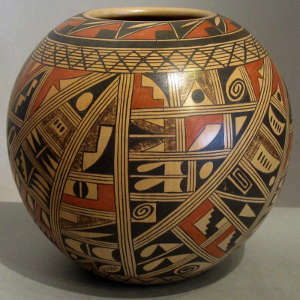 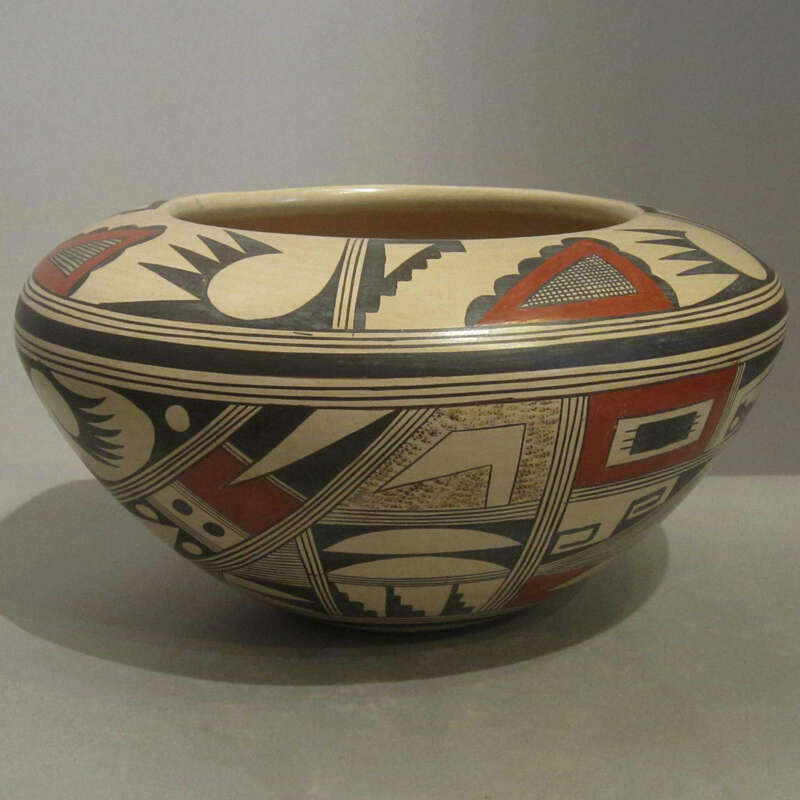 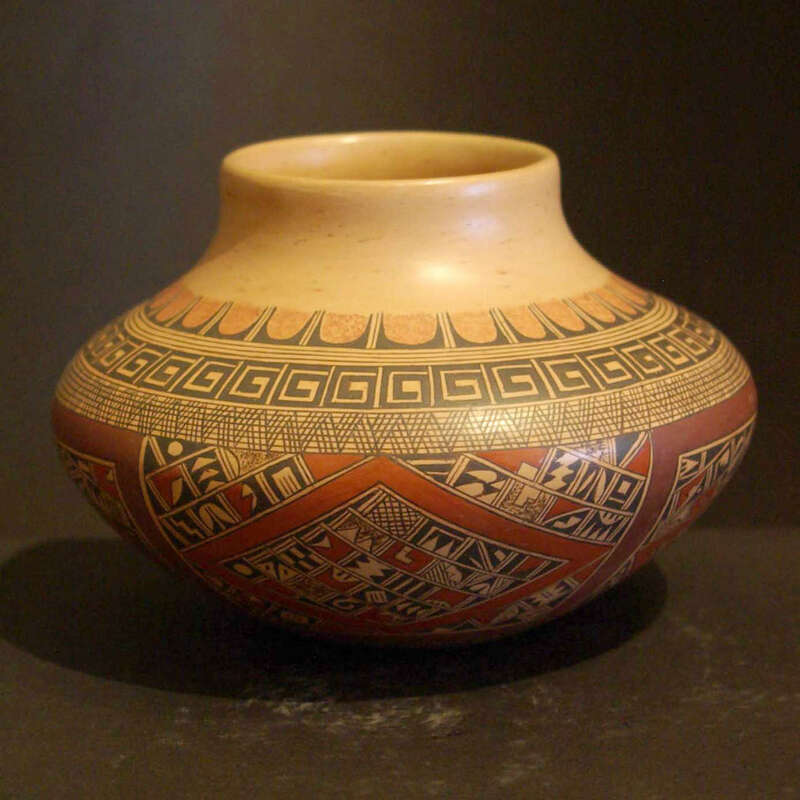 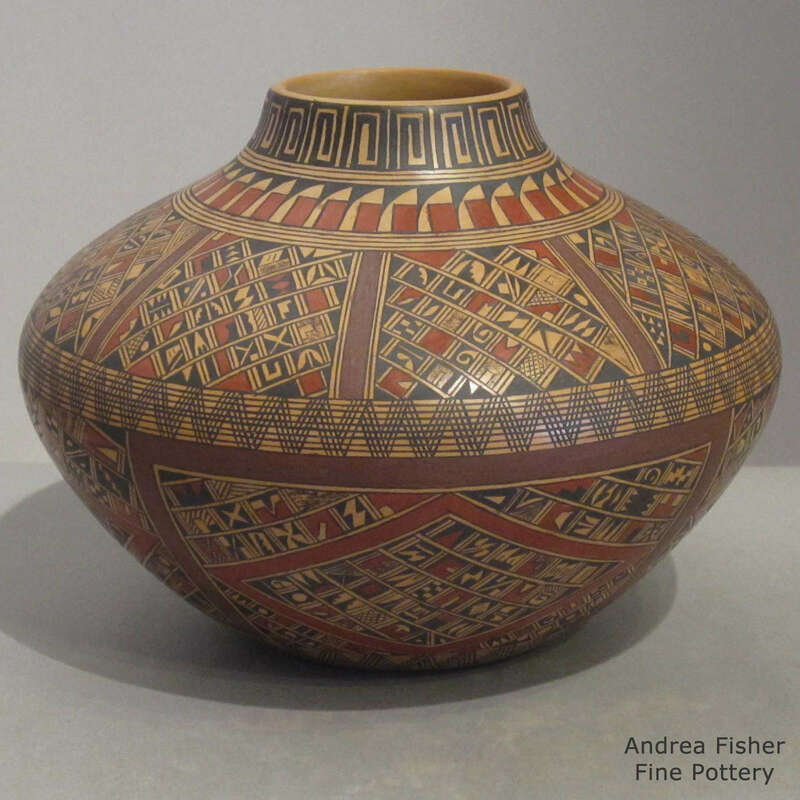 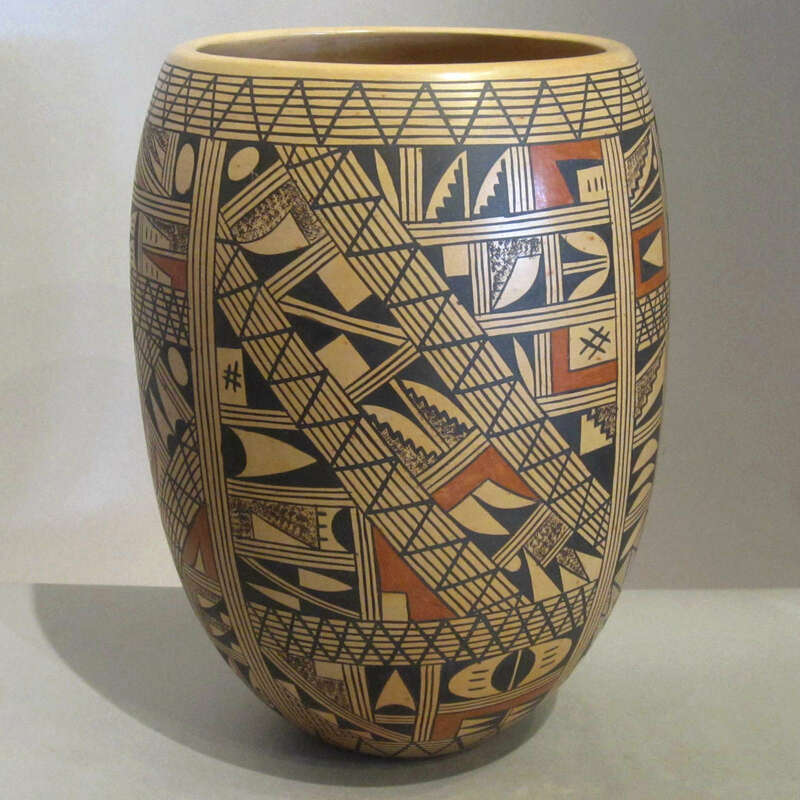 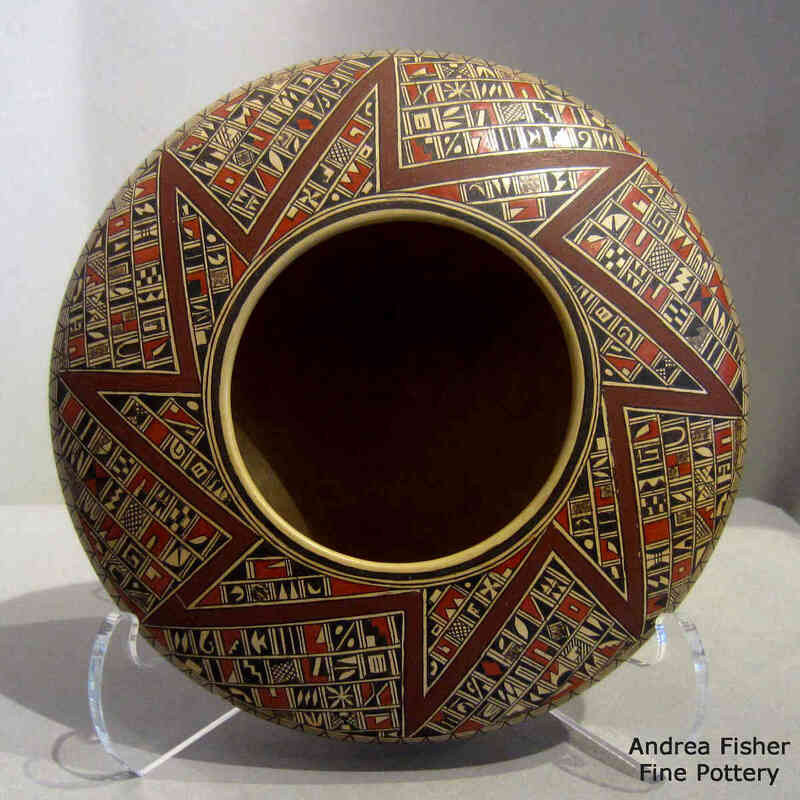 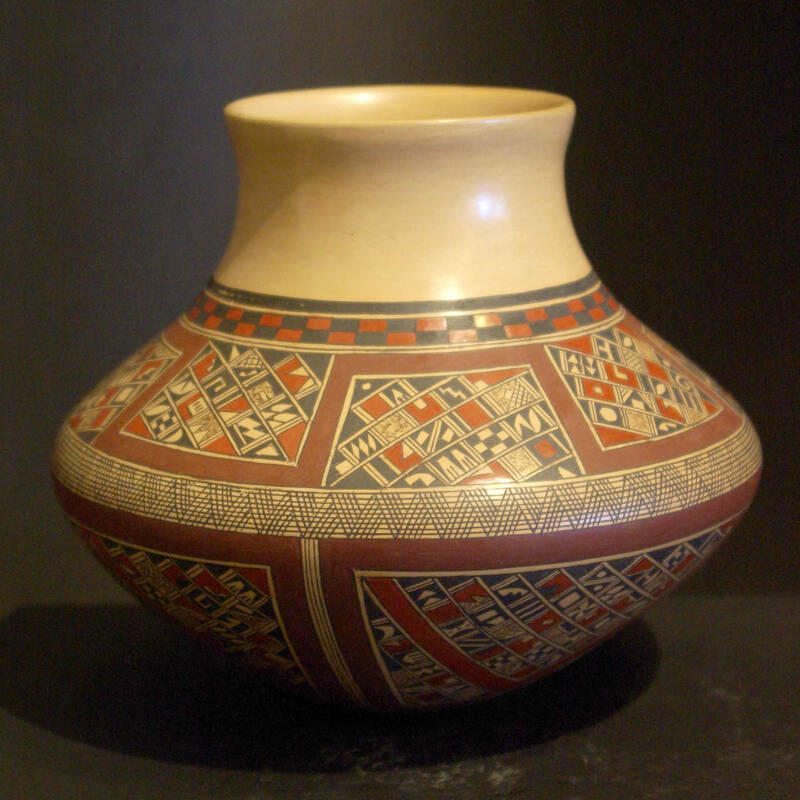 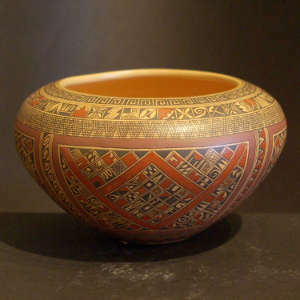 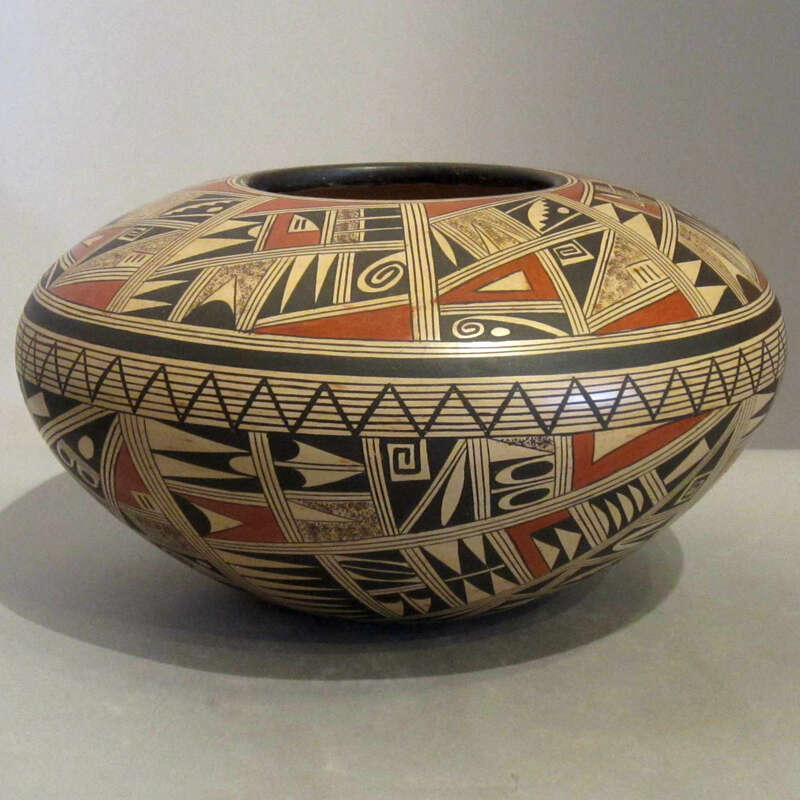 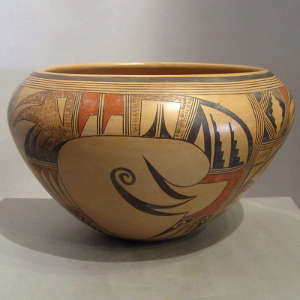 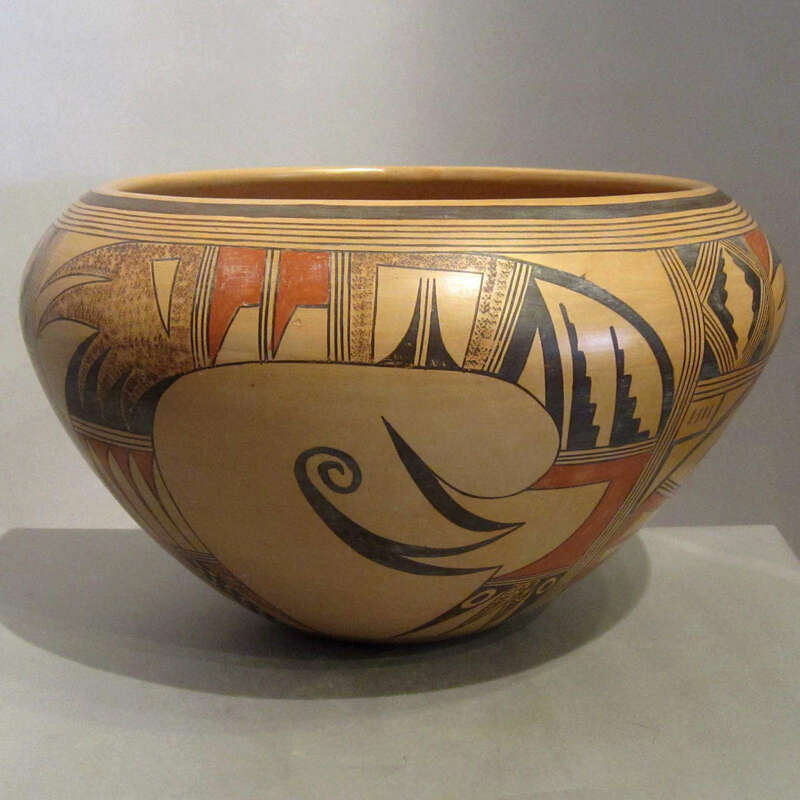 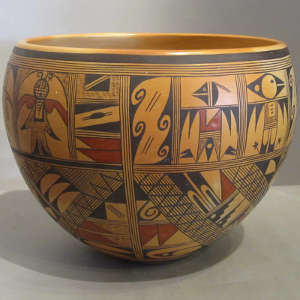 Rondina has won Best of Show twice at the Santa Fe Indian Market (1986 and 1996) as well as Best of Division and Best Traditional Pottery. 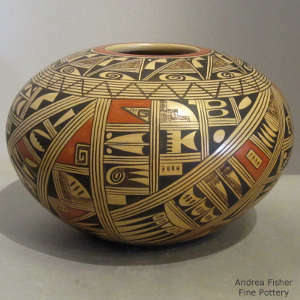 She also won the Artist Choice Award at the 2001 Santa Fe Indian Market and Best of Class in 2002. 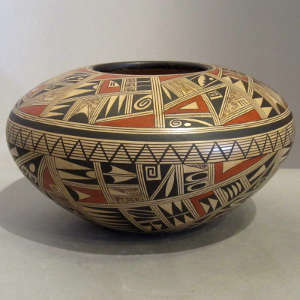 She produces mostly black and red on yellow jars, bowls and miniature bowls. She is best known for her intricate fine-line work containing hundreds of small square ancient Sikyatki designs. 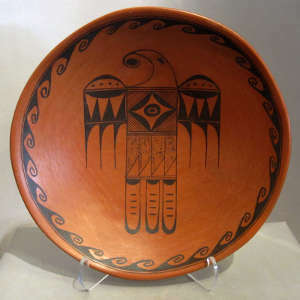 She signs most of her pottery as: "Rondina Huma Tewa-Hopi" and with her clan symbol: a parrot.